Last week the gallery was updated with screen captures from “The Magicians” episode 2×13 We Have Brought You Little Cakes. Sorry for the delay in getting these added! Last month Olivia attended Marie Claire’s Fresh Faces event. She looked lovely, as usual. Pictures of her at the event have been added to the gallery. Screen captures from the season two finale of “The Magicians” will be up soon! Sorry for the delay! Real life has kept me pretty busy the past few weeks. Screen captures from last week’s episode of “The Magicians” are now in the gallery. 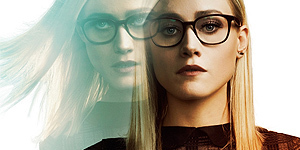 Don’t forget to watch the SEASON FINALE of “The Magicians” this Wednesday at 9/8c on Syfy! Screen captures from “The Magicians” episode 2×10 The Girl Who Told Time are now in the gallery. What a heart-wrenching Alice/Quentin scene last week!